Last Friday, while at dinner, I overheard a conversation about Bill Gates. The diners were asserting that much of his success was credited to the fact that he was in school and entering the professional world at the same time that the “first” computers were invented. This assumption is erroneous on a few accounts but what I found most objectionable was setting the date of the “1st computer” in the 1960-70's. Additionally, claiming that any invention was the “1st computer” is extremely difficult because the criteria for selection is vague. Does something need electricity to be a computer? Does it need to be able to store data? Does the capacity for any simple computation suffice? The history of the modern computer is very linear and organic with direct predecessors that can be traced back over 4,000 years to the abacus. As the progress of computers has been so gradual and fluid, I’m unable to pick a specific device to represent the “1st” computer. To choose recent technology (circa 1940-1950) would be to neglect some truly amazing ancient technology. What was the first computer called? 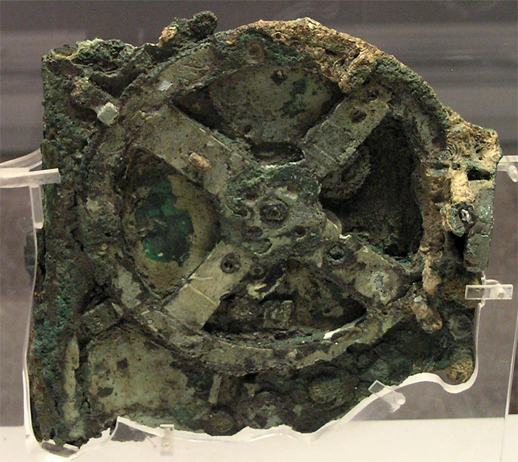 Discovered in 1901, the Antikeythera Mechanism is an ancient mechanical calculator designed to calculate astronomical positions, and could be considered the first computer. The implementation of it’s data is unclear though it is theorized that it was either for planning dates on a calendar or for novelty (and was most likely not used for navigation). Data was entered through a crank, resulting in the prediction of various celestial bodies. It is the oldest The Antiythera Mechanism pre-dates technology of similar complexity by about one thousand years. Aside from being an electronic computer (which already existed) what qualifies this machine as the birth of “modern computing” was that it had the ability to store and execute a program on paper tape. 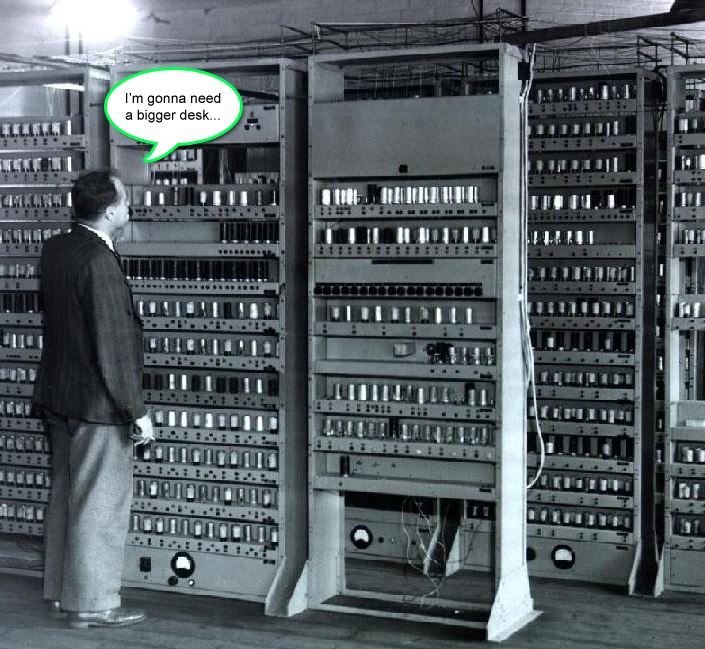 EDSAC stands for Electronic Delay Storage Automatic Calculator (clearly not worried about marketing back then). Despite its massive size the EDSAC could hold a little over 2KB of data (1024 bytes each containing 18 bits).